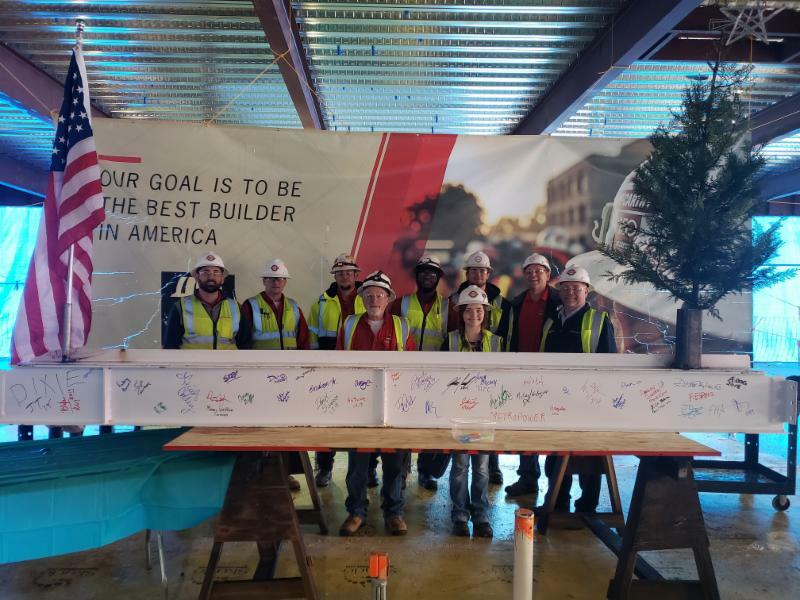 McCarthy Building Companies recently held the topping out ceremony for the Chattahoochee Technical College Health Science Center. MetroPower is back to school, working on the new technical science building at Chattahoochee Technical College Health Science Center in Marietta, Georgia. The new 71,000 square foot 3-story nursing and dental facility is being built from the ground up. MetroPower has worked extensively with the state school system and we are proud to be working with McCarthy’s team, the general contractor, to get the project out of the ground. The MetroPower team has proven agile, and does whatever they can during inclement weather to advance the job, such as pre-fabrication work for assemblies that will later be installed in the flooring. Communication is also key. Team leaders have several coordination meetings with other contractors and the customer throughout the week, to coordinate efforts to overcome the adversity presented by the weather. “We are committed to a proactive approach, and it is always very important to us that we get everything done efficiently and safely,” said Tyler Cobb, manager trainee.